This post is written by fitness contributor, Melissa! Check out more of her fantastic ideas at On the Go Healthy Moms. Valentines Day is my favorite time of the year- truly! Not only do we choose to show extra special attention to the ones we love, but we get to make a very special meal for them! Taking the time to make something homemade really shows your spouse and family how much you care. 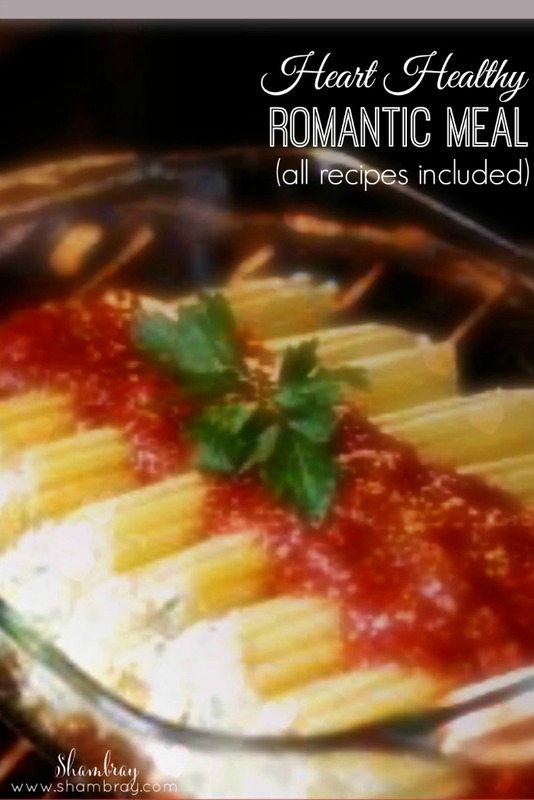 In the past I have made Chicken Parmesan, Roast & Potatoes, the famous Spaghetti. 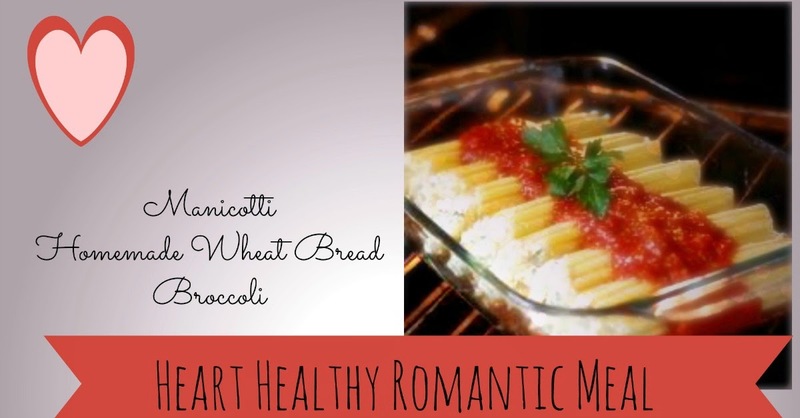 But this year I plan on making Manicotti, our favorite vegetable- Broccoli, and some homemade Wheat Bread. And I wanted to share the recipes with YOU! Mix cheese filling and egg filling together. Cut small corner of ziploc bag and fill manicotti shells full. Place 1/2 Favorite tomato pasta sauce on bottom of 9 by 13 pan. Place shells over top, then top with sauce again. Top each shell with mozzarella cheese (small amount). Cover with foil and Bake at 350 degrees for 45 mins. At the end, with only 10 mins to go- take foil off until cheese is melted. It is Simple and only 1 hour to make. 1. Mix dry ingredients. Add oil and water. Mix for 1 minute and then check the consistency of the dough. The dough should be very sticky. If it is too dry, add more water. 3. Spray kneading surface with cooking spray and turn dough out onto surface. Knead dough briefly until it has a smooth even consistency (this will only take several turns of the dough to accomplish). 4. Divide dough into 2 pieces (or more if you wish to have smaller loaves) and shape loaves into desired shapes and place on greased baking sheets. Cover with a large dish towel and let rise for 25 minutes. 5. While loaves are rising, preheat oven to 350 degrees Fahrenheit. When loaves are ready to go into the oven, use a sharp knife (you can lightly spray your knife with cooking spray to prevent dragging) to make several slashes in the top. Make each cut about 1/4-inch deep at a 30 degree angle. Bake loaves for 25 minutes, or until they are golden brown. NOW- To make this meal even more- HEART HEALTHY! Watch your Portion sizes! Don't forget your Steamed Broccoli! Melt semi-sweet chocolate chips, dip in you strawberry with leaf still on and let sit until chocolate becomes hard again. Place in fridge until time to serve! 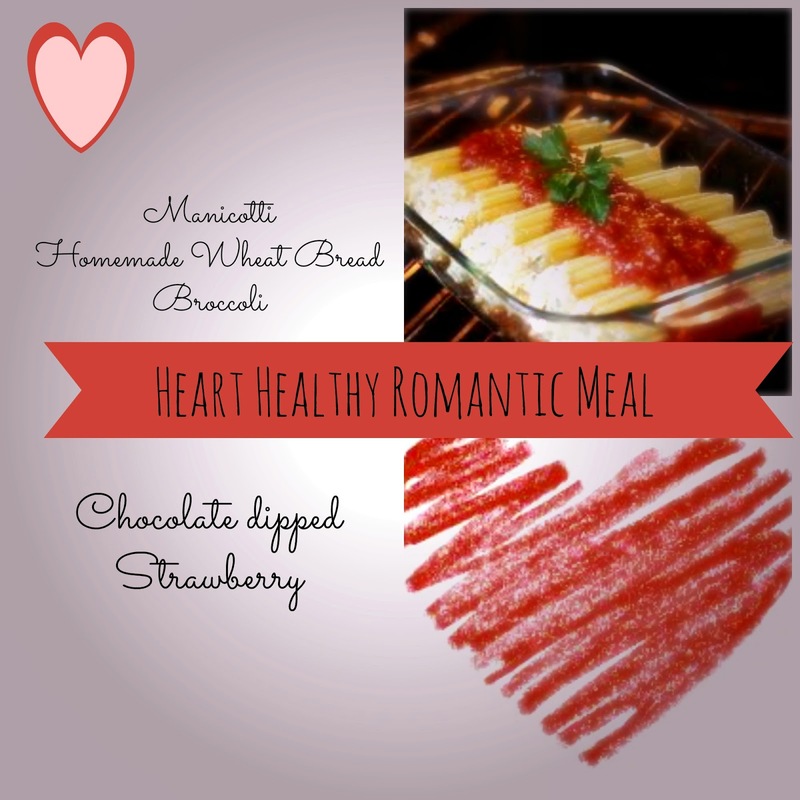 With all the yummy candy and treats that come along with Love Day, making a Healthier meal will help balance out the special day and help you to show extra love to those around you. Life gets busy and sometimes we don't always remember to take the time to show those around us how much we really love them. ENJOY!